Comments: Feather-leafed palm native to North Africa and the Mid-East. Thin trunk with diamond shaped leaf scars, and long feather shaped bluish-green fronds. 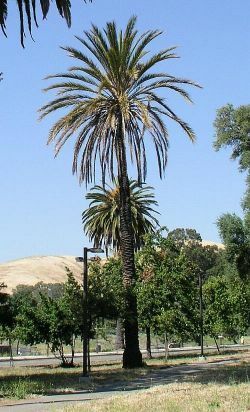 This palm can be 100' tall when mature, and in hot dry climates produces edible dates.